The ultimate prototyping kit for the BBC micro:bit. Includes all essential accessories and a great prototyping breakout kit so you can get started with micro:bit projects. 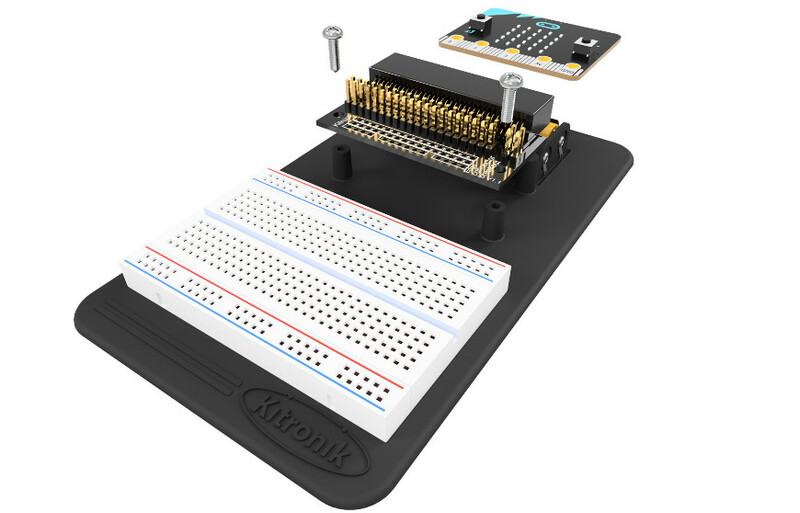 Make your micro:bit breadboard compatible with this handy prototyping kit! It converts the micro:bit's edge connector into a set of 0.1" spaced pin headers which you can use with standard jumper leads.